H2 Manufacturer of high quality timber windows and doors using traditional section sizes and Stop Mortise and Tenon Joints. All items are manufactured in our Western Sydney Factory. H2 Manufacture architectural designed custom timber windows and doors, our market is the high end residential. H2 Custom Joinery is a business run by 2 partners, with over 35 years experience. Nick Harley Carpenter/Joiner with 25 years in the building industry, and 20 year experience in window and doors. Sean Hudson Joiner/Shop Fitter with 15 years experience in the window and door industry. At Specialised Joinery Solutions, our vision is to create beautiful, functional and affordable joinery for your home. Not only will our joinery add style, warmth and character, it will also add great value to your home, making it a great investment in your future. We can help turn your kitchen and joinery dreams into a reality. We offer solutions for every size room and every budget. We are the specialists when it comes to design, manufacture and installation. We have been in the joinery industry for over 20 years. These years of experience enable us to provide service and skill like no other. We focus on your needs and desires, and make your vision a reality within a realistic time frame and within your budget. We specialise in kitchens, butler's pantries, theatre rooms, robes, laundry and garage fit outs. Our state of the art software and machinery also allows us to create decorative pieces such as wall panelling and acoustic panels for commercial or residential use. There is nothing that we cannot do. 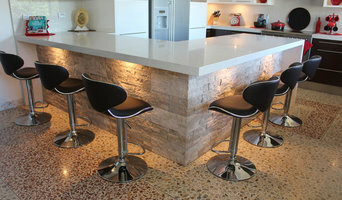 Cabinets Live is an innovative, forward-thinking joinery business in the Hills District of New South Wales. 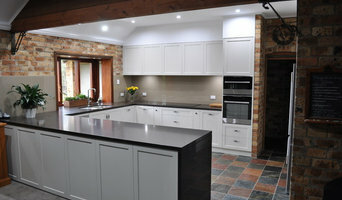 We specialise in the design, manufacture and installation of kitchens and joinery. We custom build kitchens, wardrobes, laundries, architectural cabinets and joinery for bathrooms and home offices all the while ensuring aesthetics and functionality are taken care of properly. With extensive industry and trade experience, we are at the forefront of our designs. We go above and beyond by project managing throughout the entire build with our project scheduling. We keep you informed every step of the way ensuring a smooth transition from your old and dated space to your new bright and airy space. Contact us today to discuss your project with us. Joinery and cabinet makers are mostly known for their work in kitchens and bathrooms, but their skill set goes much further than that. It is important to understand the difference between carpenters and cabinet makers, which lies in the detail of work. Carpenters tend to work on larger structural projects and this is why many become builders, whereas cabinet makers are masters when it comes to the finer detail. 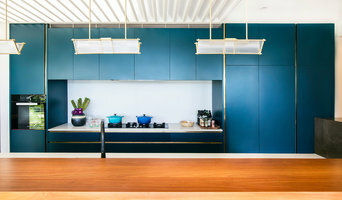 So if you’re looking for detailed woodwork like custom-made furniture for your living room or smart storage solutions, you’ll be sure to find a Sydney, New South Wales cabinetry expert in the Houzz directory of professionals. What Do Sydney, New South Wales Joinery and Cabinet Makers Do? 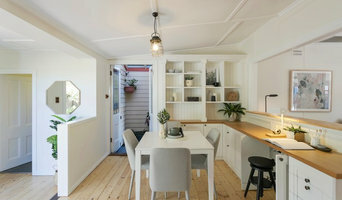 If you know what you want and are ready to take the next step, scroll through this page to find joinery and cabinet makers in Sydney, New South Wales. As mentioned, you can browse their latest projects, read reviews and see how other homeowners rate their work, and message them directly. You can also look through Photos to find examples of joinery you like, then contact the professional who worked on them.